This centre was founded in 1985. The founding members, Usman Shaikh, Nazir Dewan and Ashraf Jaliwala incorporated it under the name ‘ Markaz El-Islam de la Rive Sud’. Farouk Baroudi, a member of the ICQ and past Vice-President of ICQ (1972) became the first President and Usman Shaikh, C.A., the first Secretary. 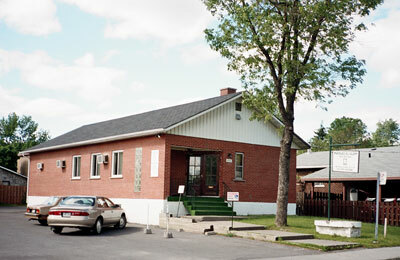 The Neilson street building was purchased the same year and was converted into a mosque. Old location on Neilson St. 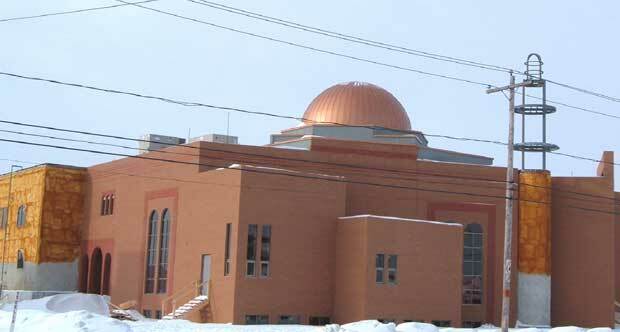 The Muslim population on the South Shore especially in Brossard was growing as in other areas of Montreal Island. By the end of last century, it was felt that the present building was too small to accommodate all for the SalatulJumu’ah. Efforts were made to acquire land in a suitable location to build a new community centre/mosque and satisfy the needs of the community. In 2000, a piece of land measuring about 100,000 square feet was purchased on Grand Allee Boulevard, corner of Milan Boulevard. Plans for the new community centre were prepared by an architect and a building permit was issued by the city of Brossard. The cost of project was estimated to be 3.5 million dollars. Fund raising for the project was commenced then by the members of the South Shore Muslim Community and in a short time enough funds were collected to start the construction. It is noted here that no funds were received from any foreign country and all the money was raised by the Muslim Community on the South Shore and Montreal Island. The new Centre will have overall 25,000 square feet of usable space on two floors and a mezzanine (main floor, basement and mezzanine ). The mezzanine floor will be exclusively for the use of women. There will be facilities for prayer (Salat), functions, a full size gymnasium, classrooms, meeting rooms, two separate Wudu (ablution) areas for men and women, washrooms, two kitchens and office etc. The main floor will accommodate 600 to 700 people in prayer. The affairs of the organization are carried out by an Executive Council, consisting of eleven members. The Executive Council is comprised of five executive members (President, Vice-President, General Secretary, Treasurer etc) and six Counselors, all elected by the General Membership for a period of two years. A Board of Governors was created by the General Membership for the mosque expansion project. After the completion of the project, this board will be replaced by a Board of Trustees, who will serve for a period of five years. No member of the Executive Council or Board of Trustees can serve for more than two terms. The Board of Trustees will oversee the general direction of the organization. Salatul Jumu’ah (Friday prayer) with an address (Khutaba) by the Imam. Salatul Traweeh during the month of Ramadhan(month of fasting(. Sunday School for kids (5-10 years), two hours; about 150 kids attend. Summer Camp for kids – two weeks. Medical Counseling for Women and Men on health issues, organized and carried out by Dr. Fauzia Irshad, a family physician in the South Shore, generally held every quarter. For other activities, see ‘Rituals, Practice and Festivals’. Day care for young children. Women Counseling on social issues in accordance with Islamic principles.